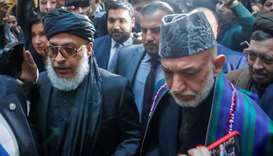 The Taliban entered a second day of unprecedented talks Wednesday with powerful Afghan politicians in Moscow, sidestepping the Kabul government as it pursues a leading stake in the war-torn country. The rare public appearance that kicked off a day before saw Taliban officials spell out their vision for Afghanistan in front of rolling cameras and a host of political heavyweights, including former president Hamid Karzai. The insurgents went around President Ashraf Ghani and sat down with his chief rivals for an extraordinary meeting that saw Karzai and other sworn enemies of the Taliban praying with the militants. 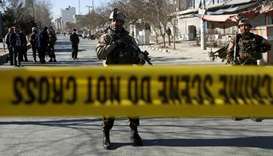 No government official was invited, despite Ghani's offers to talk peace, underscoring the Taliban's hostility toward the increasingly marginalised Kabul administration. 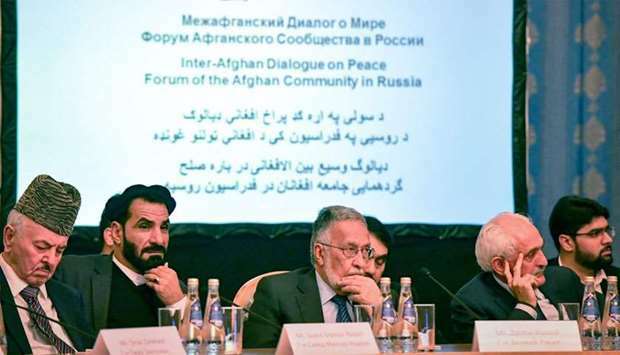 The Moscow meet comes a week after the Taliban held separate talks toward ending 17 years of fighting with American negotiators in Doha, where Ghani was again not invited to the table. President Donald Trump on Tuesday described those talks as ‘constructive’ and voiced cautious hope for a negotiated end to America's longest war. The Taliban claimed Wednesday that the United States agreed in Doha to withdraw half its ground troops by the end of April -- and the process had begun. 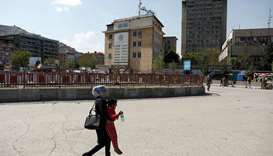 ‘The Americans agreed to withdraw half of their troops immediately. 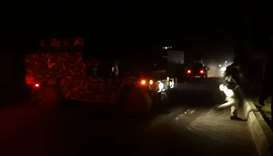 The withdrawal will start from February 1 and continue until end of April,’ Abdul Salam Hanefi, deputy head of the Taliban's political office in Doha, told reporters in Moscow. 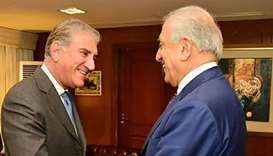 But US negotiator Zalmay Khalilzad has repeatedly stressed that ‘nothing is agreed until everything is agreed. 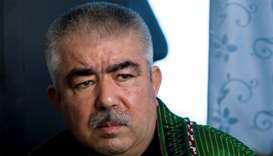 'Everything' must include an intra-Afghan dialogue and comprehensive ceasefire’. The US has issued no details on any potential withdrawal plan. The Taliban routinely exaggerates its attacks and details of other engagements, and NATO and Afghan officials deny the claims. Ghani's allies in Washington insist Afghans should lead the peace process, and ostensibly the months-long push by the US to engage the Taliban has been aimed at convincing them to negotiate with Kabul. 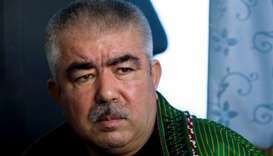 A top US general also said that Kabul must be involved in talks if a push for a peace deal is to be successful. 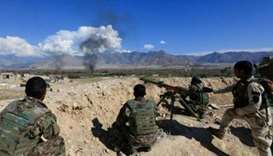 ‘Ultimately, we need to get to a Taliban-Afghanistan discussion,’ General Joseph Votel, the head of US Central Command, told US lawmakers. 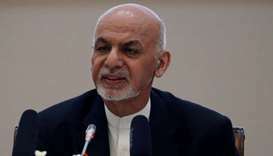 Ghani spoke with US Secretary of State Mike Pompeo late Tuesday, who had ‘underscored the central importance of ensuring the centrality of the Afghan government in the peace process’, the president said. But Ghani has vented frustration at being relegated to the wings as his political enemies shared prayers and meals with the Taliban while discussing the future of his country. ‘The Moscow meeting is nothing more than a fantasy. 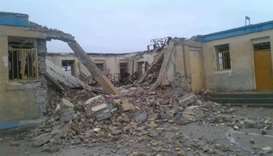 No one can decide without the consent of the Afghan people,’ Ghani told Afghan broadcaster TOLOnews. The Moscow conference is the Taliban's most significant engagement with Afghan leaders in recent memory -- and unique for the militants who banned television when they ruled Afghanistan between 1996 and 2001. Their leadership is rarely seen in public and scenes of Taliban officials clad in black turbans outlining their manifesto for live television is virtually unheard of. Before the Afghan envoys -- including female delegates -- the Taliban promised to loosen some restrictions on women and not seek a monopoly on power.